Challenge campaigns have played a crucial role in pushing the innovation boundaries. 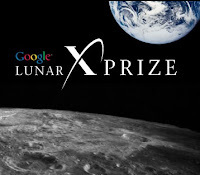 Take the case of the Google Lunar X Prize challenge announced in September 2007. The challenge calls for “privately-funded spaceflight teams to compete to successfully launch a robotic spacecraft that can land and travel across the surface of the Moon while sending back to Earth specified images and other data.” Currently the closing date for the challenge is Dec 31, 2015. India’s Team Indus is one of the 23 teams worldwide who are actively competing today for the challenge. How many teams will achieve this? We don’t know. However, what is clear is that the challenge has spurred a lot of enthusiasm, collaboration and is likely result into innovations – small & perhaps big. The question I want to explore here is: What is it about the GLXP challenge that has resulted in such excitement? Are there any inherent characteristics of the challenge statement that makes it so popular? If so, then perhaps it will be useful to any manager to create his own version of GLXP. Let’s look at 3 such characteristics: emotional appeal, concrete goal and hooks for exploration. Emotional appeal: A good challenge statement should appeal to the emotional side. To use the Elephant-Rider metaphor, motivating Elephant is an important aspect. Reaching the Moon has always carried the fancy of mankind. Hence, GLXP carries a natural appeal. Contrast this with statement like “Improve team productivity by 20%” or “Reduce inventory by 40%”. Each of these could be an important challenge for the team. However, it is unlikely to make an emotional appeal to the team members. One way to create such an appeal is to address to a feeling people already have. For example, a challenge related to saving on paper cups in the organization may appeal to the environmentally conscious employees or a challenge related to geriatrics may appeal to the middle-aged working people whose parents are aging. Concrete goal: The GLXP has a well-defined goal: soft-landing on the moon, traveling 500 meters on the lunar surface and transmitting high definition images and video back to earth. Contrast this with the goal “Become a center of excellence”. It may appeal to the emotional side but gives no concrete image of what this means. In contrast, “reduce inventory by 40%” is concrete. A concrete goal helps in assessing whether the goal is met or not. Hooks for exploration: A concrete challenge is good but not good enough especially for tough challenges. It should give some hints as to where to begin. In the words of Prof. Richard Rumelt of UCLA – it brings out a domain of action. In case of GLXP, it is believed that the toughest part of the challenge is soft-landing on lunar surface. Slowing down an accelerating spacecraft in a controlled fashion involves complex engineering. In 1920, Thomas Edison contemplated exploring the field of Atomic energy. However, he abandoned it eventually by noting, “There is nothing to hang the imagination on”. Neither “Become a center of excellence” nor “Improve sales by 30%” provide any hooks for exploration. In short, a good challenge statement should have an emotional appeal, a concrete goal and one or more hooks for exploration. Richard Rument presents his ideas on “domain of action” in the chapter 5 “Kernel of good strategy” in his book “Good stregy, Bad strategy”, Profile Books, page 81. Thomas Edison’s comment is from “Edison on innovation” by Alan Axelrod, Jossey-Bass, page 17. It is a good step to create challenge campaigns for getting focused innovation to occur. Sometimes the challenge gets people to think together on a focused way and it sharpens the innovative skill from time to time. The answer to this fundamental question - "Is it worth it?" may not be the same to all but some of the common needs to satisfy one's thirst or ego will certainly help drive interest. Excellent points, Rajas. Thanks for sharing your inputs.